As times get more and more demanding, with multiple pursuits competing for your time, the need for a computing companion that can adapt to these diverse requirements also goes up. 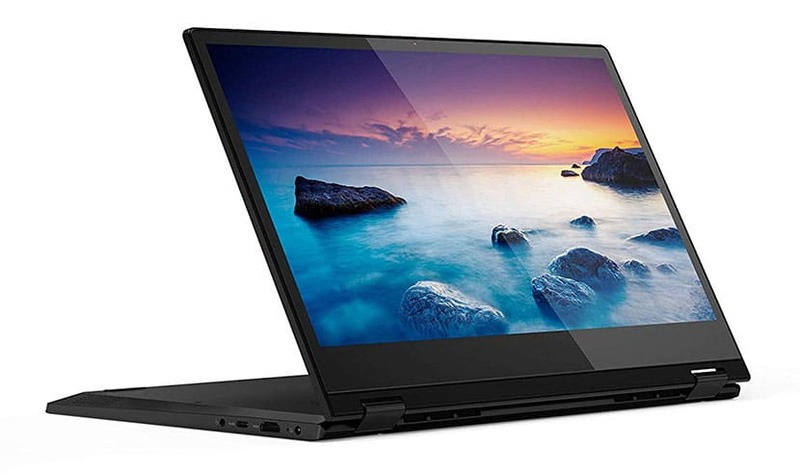 A portable and cost-effective convertible that promises to deliver on various fronts is the latest Lenovo Flex 14 AMD Ryzen 5 3500U laptop. Priced at a surprisingly inexpensive under $600, this 14-inch laptop can double up as a student companion, a creative platform, as well as a go-to machine for young professionals. 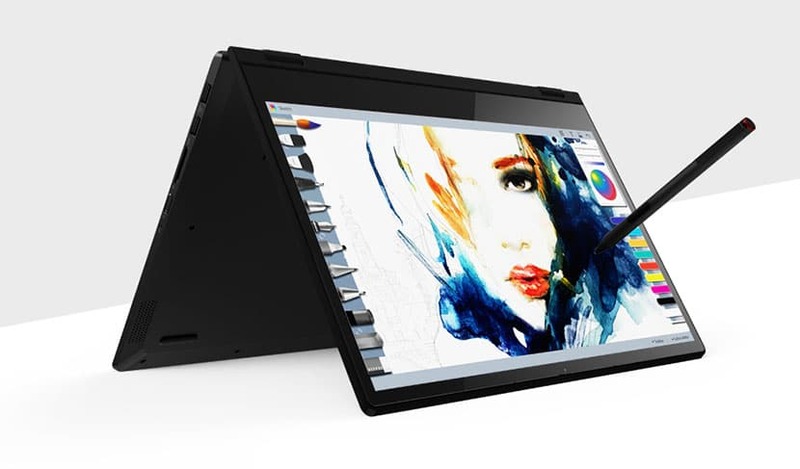 Lenovo has designed its newest offering to support various modes of operation—laptop, tend, stand and tablet—and this majorly enhances the flexibility you can expect from this device. In this close-up review, we analyze the various offerings of the Lenovo Flex 14 and see how far it lives up to its claims. Does this product cement Lenovo’s position in the portable computing space? 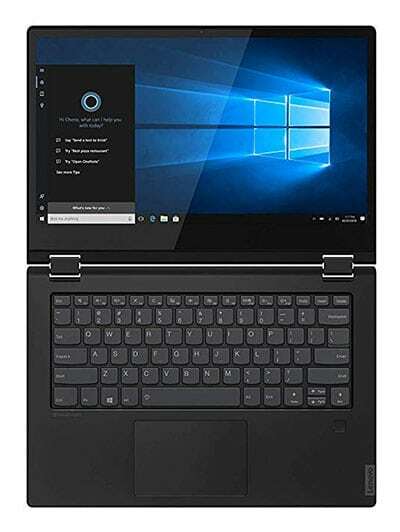 Driving this 2-in-1 laptop is an AMD Ryzen 5 3500U processor. It is supported by 8GB RAM (DDR4) and a 256GB SSD (NVMe). The operating system is Windows 10. On the whole, this is a processing configuration that is suitable for day-to-day activities such as working on presentations for school or work, browsing the internet, or even streaming multimedia content. The AMD processor is efficient enough to let you run simultaneous applications as well as support multimedia editing (photos and videos). It is also suitable for some degree of gaming (at high-res). Interestingly, AMD manages to achieve these wins while keeping the cost of the product low—a favorable situation for anyone looking to purchase a budget laptop that does its job well. Further, the operating system comes with several features to boost security and productivity which helps you put your best foot forward. Since the computer is fitted with a high-speed SSD, the booting and loading times also tend to be lower than you may have been used to with a regular HDD. How about battery life? The Lithium-Polymer battery lets you get unplugged usage to the tune of eight hours—enough to last you throughout your average school or office day. Long battery backup is a huge bonus—almost a prerequisite—in convertibles, for users cannot be expected to sit close to charging stations all day. Fortunately, this laptop takes this very seriously; an innovative recharge technology lets you recharge the computer up to 80% in only one hour. This swift charging provision betters the charging time offered by many contemporaries. 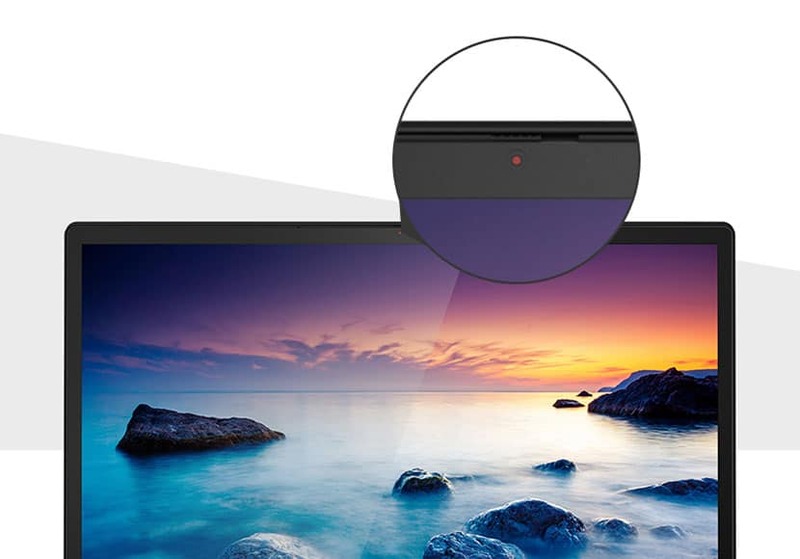 In this convertible, you will find an FHD screen with an optimal resolution of 1920 x 1080. It is a touchscreen display which means you have the comfort of using the computer on the go without the need to key in cumbersome commands or instructions. The touchscreen display also proves to be a blessing for creative professionals who need to draw, sketch or doodle when creativity strikes—the screen is very responsive and smooth to touch. Plus, the Active Pen is included with the purchase, so you don’t need to acquire a stylus separately. Note: This 14-inch convertible supports AMD Radeon Vega 8 graphics. While this is powerful in its own right, it is an integrated (and not dedicated) graphics coprocessor. With a weight of 3.52lbs and a profile that measures about 0.7”, this is a portable and lean machine. You should face no problem slipping it into backpacks and carrying it to work. For a 14-inch form factor, the weight is also fairly lightweight; after all, the gains in screen real estate are substantial for those who demand an immersive and expansive display. The overall dimensions of this product are 12.91 x 9.02 x 0.7 inches. The general build of this onyx-black laptop perseveres to be contemporary and multipurpose. Perhaps the most compelling feature of this 2-in-1 is its multi-mode design. It is straightforward to use it any “mode” that matches your present requirement: laptop, tent, tablet or stand. For instance, when you need to use your device for regular computing, the laptop mode matches a full-purpose computer. But when you have to interact with your machine more closely, say when designing something on the screen, the tablet mode comes in handy. The tent style, on the other hand, is best suited for sharing content with others (for instance, presentations or photo albums). This laptop is also ideal for late-night binge-watching sessions on Netflix; the stand mode is perfect for this endeavor. Can this laptop let you work outdoors without feeling disconnected? Well, it has a USB Type-C port that can be used to connect to devices and peripherals as well as transfer data at rapid speeds. This laptop is also equipped with an HDMI port that comes in handy to connect to external displays when you need to present something to an audience or simply enjoy larger-than-life content on a giant screen. Also, there are regular USB 3.1 ports and a card reader. Since this Lenovo laptop is targeted at a mobile population—people who travel extensively or work in collaborative environments—it prioritizes security. The webcam, for instance, has a true block privacy shutter that lets you close the webcam physically when it is not in use. This simple design element is extremely thoughtful. It rids you of the fear that your colleagues at work or group-assignment buddies just caught you idling away when you should have been working! Lenovo has been taking giant strides in the realm of mobile computers suitable for present-day audiences. 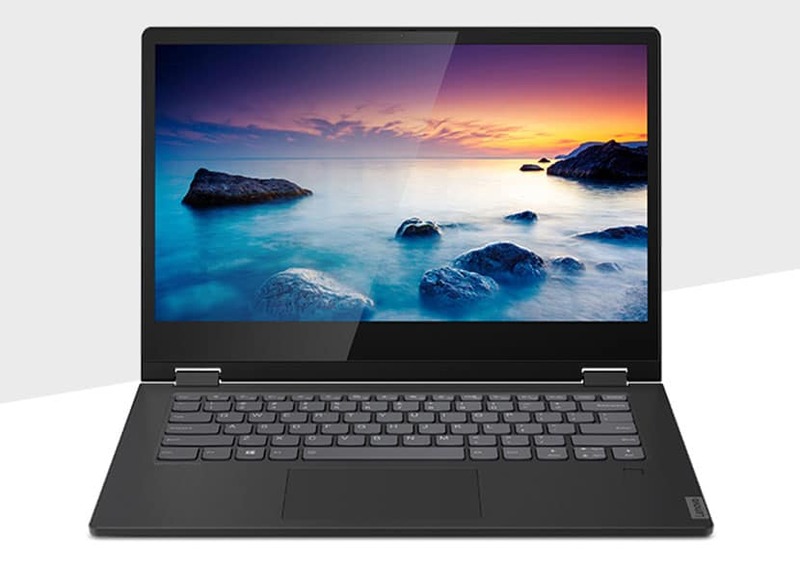 The Lenovo Flex 14 AMD Ryzen 5 3500U is a step in the right direction for the smart way in which it combines the power of an AMD processor with excellent security and comfortable accessibility. At its super-tempting price point, this is one convertible that is really eager to please—and, to a great extent, succeeds in doing so.